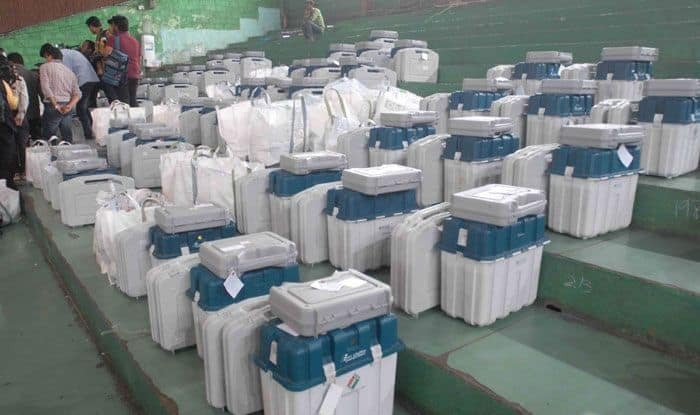 The stage is set for polling in all 17 Lok Sabha constituencies in Telangana on Thursday with elaborate arrangements being made to ensure a free and fair poll. Having swept the Assembly polls held in December last, the ruling TRS is hoping for an encore in the company of AIMIM while the opposition Congress and BJP appear to be focussed on winning select number of seats. Nizamabad Lok Sabha constituency is a special case in this parliamentary election as 185 candidates, including more than 170 farmers, are in the fray. The peasants have entered the fray to highlight their demand for remunerative price for turmeric and red jowar. Polling in Nizamabad would begin at 8 AM and end at 6 PM as mock polling is expected to take more time compared to other constituencies in view of the large number of candidates. Congress leader Renuka Chowdhury (Khammam), AIMIM president Asaduddin Owaisi (Hyderabad), state Congress president N Uttam Kumar Reddy (Nalgonda), sitting TRS MP K Kavitha (Nizamabad), daughter of TRS president K Chandrasekhar Rao, are among the prominent candidates who are in the fray. Highlighting the “family rule” of KCR, Modi warned that TRS’ association with Asaduddin Owaisi-led AIMIM party would mean “speed-breaker” for Telangana’s development. Owaisi canvassed for TRS candidates at some places. KCR earlier termed AIMIM as TRS’ friendly party.